The Z Barn is one of the iconic Barn Doors that is timeless, and will make almost any space better. 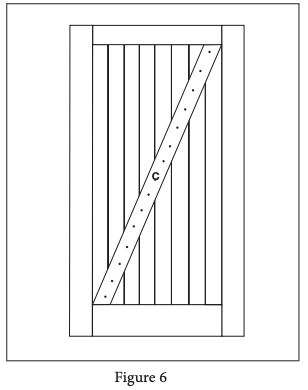 PDF instructions for the Z Barn Door are also available. Step 1: On a flat, clean surface, lay out the right slat (B3) with the groove facing to the left. 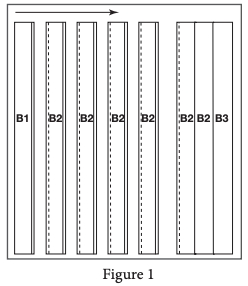 Lay all middle slats (B2) next to B3 with the tongue facing to the left. Lay the left slat (B1) to the left of the last B2 slat with the groove facing right. Assemble by fitting the tongue into the groove of each piece. 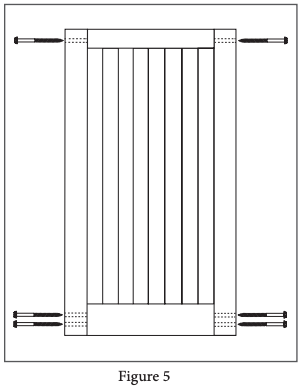 Gently tap into place with a rubber mallet to seat the slats together (Figure 1). Step 2: Place the bottom rail (A2) below the assembled slats. Slide upward to cover the lower edge of the slat assembly. Tap the bottom rail into place with a rubber mallet (Figure 2). Step 3: Place the Top Rail (A3) above the assembled slats. Slide downward to cover the upper edge of the slat assembly. Tap the Top Rail into place with a rubber mallet (Figure 3). 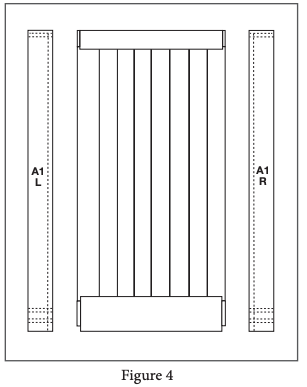 Step 4: Place the left side style (A1 L) beside the assembled slats and rails. 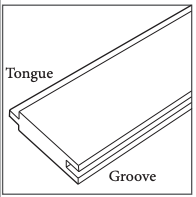 Slide to the right to cover the top and bottom rail tongues and the edge of the slat assembly. Tap the rails into place with a rubber mallet. Repeat with the right stile (A1 R) (Figure 4). Step 5: Fix the door assembly with six 6” lag screws (E), using a socket wrench with a 7/16” socket (Figure 5). 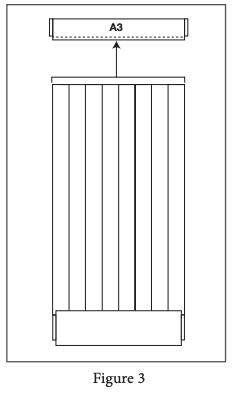 Step 6: Lay the Diagonal Overlay (C) across the slats. 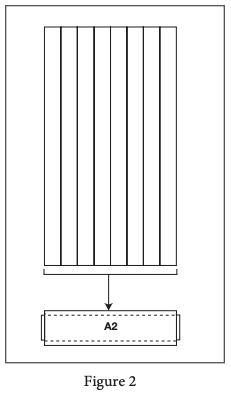 Attach to slats and with phillips screws (D) using a drill with a phillips bit (Figure 6). Step 7: Turn the door over. Repeat step six for the other side.